It's been a while since I did a shoot down at the Sugar Sheds, but my oh my, what a building. So many gorgeous colours and textures to shoot against, love it love it love it! And believe it or not, the weather was absolutely horrendous with heavy rain and wild winds sweeping through. Kirsten and Doug were freezing but braved the elements regardless. 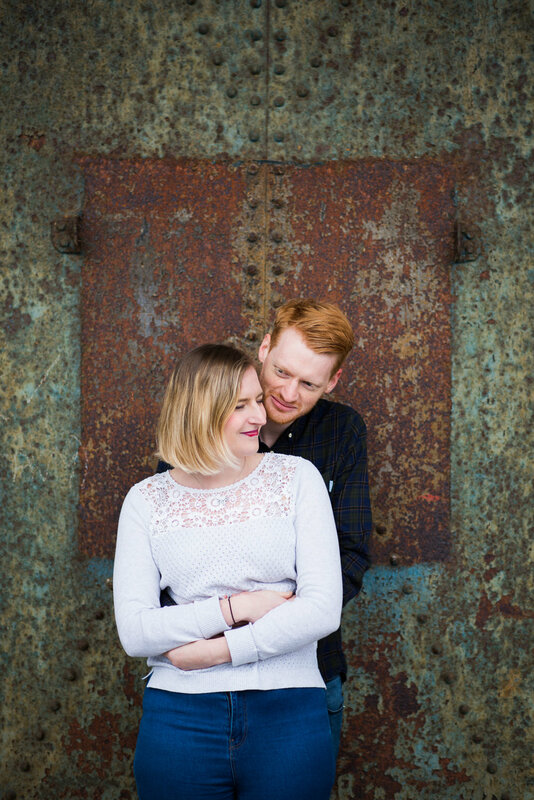 Engagement session at Sugar Sheds in Greenock. Couple at Sugar Sheds in Greenock for their engagement session. See a full slideshow from their engagement session below including lots more images.